Lockheed Martin Corporation engages in the research, design, development, manufacture, integration, operation, and sustainment of advanced technology systems and products in the United States and internationally. The company has raised dividends for eight consecutive years, and is a potential dividend achiever. The latest dividend increase was in September, when the board of directors authorized a 19% dividend increase to 75 cents/share. Over the past decade, this dividend stock has delivered a total return of 9.90% annually. The stock is still 40% off its all-time-highs reached in 2008. Over the past decade, Lockheed Martin managed to increase earnings per share from a loss of $1.05 in 2000 to a profit of $7.78 in 2009. The company has bought back 1.50% of its shares outstanding on average over the past decade. The company has spent almost twice as much in cash on buybacks as opposed to dividends over the past few years. Analysts project Lockheed Martin to earn $7.40 in FY 2010 followed by $7.65 in FY 2011. The company’s largest customer is the US Government, which accounted for 85% of Lockheed’s revenues. The large deficits that the government is running might limit future spending on the military. The possible ending of the conflicts in Iraq and Afghanistan could also potentially hurt defense budgets in the future, which could hurt sales at Lockheed. Another risk for the company is the government favoring other defense companies over Lockheed, which is the largest defense company in the world. The company has managed to raise its annual dividend at a rate of 20.40% annually over the past decade. At 20%, dividends double every 3 and half years. The company actually cut dividends by 50% in the year 2000, but it had lost its status of a dividend achiever a few years before that. Currently, the company can afford to grow distributions given the low payout ratio. However without growth in earnings, the company’s future dividend growth will be limited. The company’s dividend payout ratio has remained below 40% since 2002. 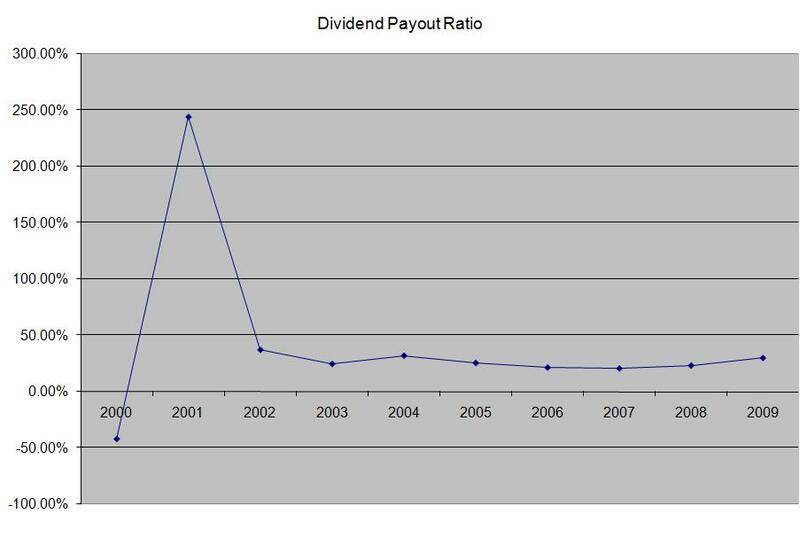 Right now the dividend is sustainable at payout ratio of 30%. 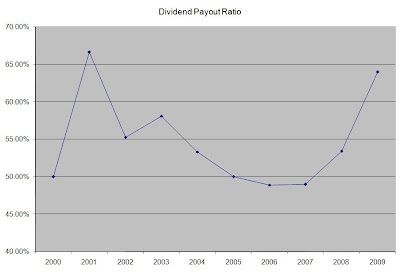 A lower payout is always a plus, since it leaves room for consistent dividend growth minimizing the impact of short-term fluctuations in earnings. 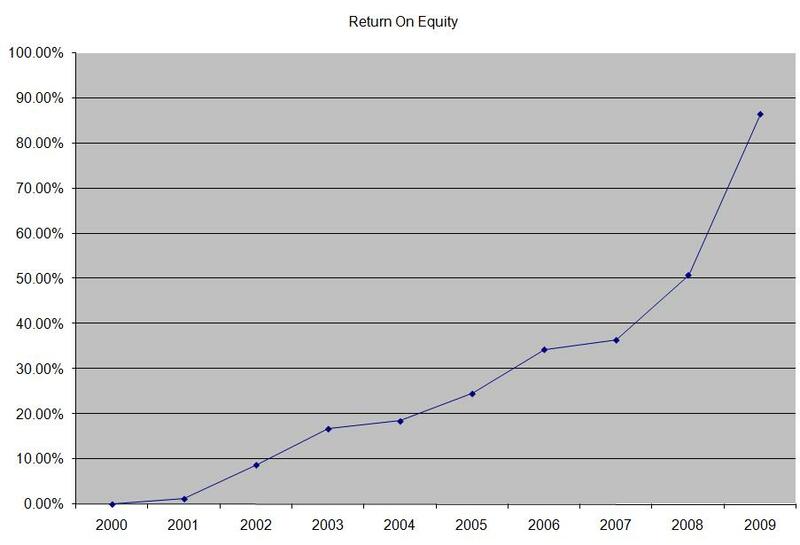 The return on equity has steadily increased over the past decade, fueled by strong earnings growth. Rather than focus on absolute values for this indicator, I generally want to see at least a stable return on equity over time. Overall I find Lockheed Martin (LMT) to be attractively valued at a P/E of 8.80 and a yield of 4.30%. In comparison, rival Boeing (BA) trades at a P/E of 48 and yields 2.50%, while Northrop Grumman (NOC) trades at a P/E of 9 and yields 3.10%. Another defense contractor, Raytheon (RTN) trades at a P/E of 10.60 and yields 3.40%. However it is still too early to consider adding Lockheed Martin to my dividend portfolio, particularly due to the ten year requirement for dividend growth that I have. I have no doubt that Lockheed would be able to join the dividend achievers in 2012, but its future would depend on whether it could boost earnings in the future. Most of my articles on dividend investing contain a fair bit of warning about the dangers of high dividend stocks. This has caused several readers to question whether I should include high yielding stocks in their portfolios or not. In this article I would try to explain the advantages and disadvantages of these securities, and let readers decide for themselves whether they suit their investment objectives. First, I find stocks with above average yields helpful for retirees or future retirees who expect to start living off dividends up to the next 10 years. While dividend growth stocks are a great investment vehicle for the long run, it might take some time for them to start generating a sufficient yield on cost. For example it might take over a decade for a stock like Wal-Mart (WMT) with a current yield of 2% that raises dividends by 12% annually to reach a yield on cost of 8%. For the investor who needs to put food on the table for the next decade, Wal-Mart will likely be ignored due to its low yield in favor of a higher yielding stock such as Kinder Morgan Energy (KMP) or Royal Dutch Shell (RDS.B). A stock with a higher current yield which raises dividends minimally or not at all would provide the best yields for the next few years, provided that the company generates strong cash flows to support the distribution. If the investor simply chases high dividends without checking for their sustainability, they will be better off in cash and short –term maturities, rather than risk their principal on untested investments. 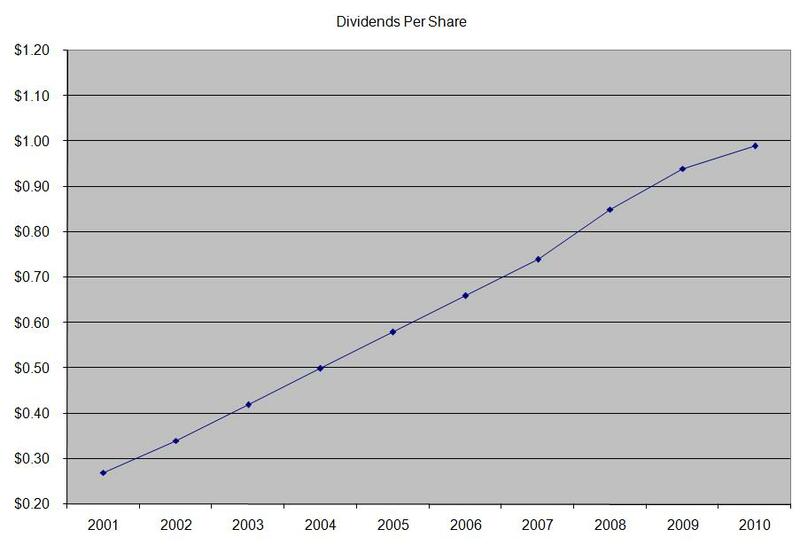 If the distributions are sustainable, then the high dividend stock could be bought and held for current income. Second, it is imperative to understand that a high dividend stock that doesn’t raise its distributions for a long period of time would result in lower inflation adjusted income over time. This is particularly concerning in the event that the investor spends their whole income, and doesn’t reinvest a portion of distributions. That’s why investors should hold only a portion of their income portfolio in high yielding stocks. They should invest the other portion in dividend growth stocks which offer consistent dividend increases. 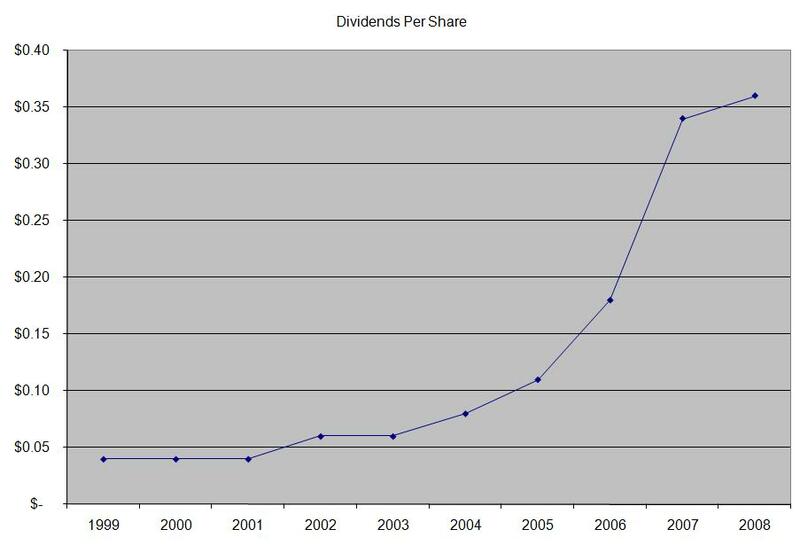 This dividend growth should be supported by a solid business model that generates sufficient cash flows to grow and maintain the business and also return excess cash to owners. The dividend growth component of the portfolio should be quietly working in the first decade or so in order to reach higher yields on cost. This is the component that will ensure that the income stream maintains its purchasing power for the whole retirement, no matter whether it last for one decade or half a century. As a result, if you look at dividend yield from the viewpoint of your dividend portfolio, one could realize that individual company yields do not matter as much, as long as overall portfolio yield is enough to generate sufficient initial income stream. After that knowing that the addition of a 2% yielder that grows distributions at 15% annually won’t affect overall yield too much, the decision to add a stock like Becton Dickinson (BDX) or Family Dollar (FDO) is much easier that before. At the end of the day, investors should determine what they are trying to accomplish with their dividend portfolios. The stocks mentioned above are just a piece of the puzzle and not the solution to building a dividend portfolio for the long run. The company expects to open 40-45 new stores in FY 2010, which would increase it total sales floor by 2 to 3%, and also help it in increasing market share. Lowe’s has kept expanding even during the housing crisis as it opened 153 stores in 2007, 115 in 2008 and 62 in 2009. While the housing market still appears to be soft, the bottom has likely been hit. This could depress sales at stores like Lowe’s and Home Depot in the near term. A strong demographic factor is the high level of homeownership in the US at 67%, coupled with aging of homes. In addition to that, people are much more likely to participate in do it yourself home renovation projects during a crisis, in order to try to increase the value of their home, to make it more marketable or just to make it a better place to live. The home improvement market, which declined by 8.4% in 2009 is expected to increase by 4.70%/annually until 2014. At its annual meeting Lowe's Companies, Inc. (LOW) Chairman and CEO Robert A. Niblock told shareholders the company is seeing consumers reordering priorities, being more pragmatic across all aspects of their lives and as a result, increasing their involvement in home improvement projects. As the year progressed, Niblock said the company saw signs consumers were expanding their spending beyond repair and maintenance into more discretionary products and projects. With yields on 10 year and 30 year US Treasuries reaching their lowest levels since 2008, investors are left with one less potential source of income in retirement. Currently, investors who purchase a $1000 bond that matures in 30 years are expected to receive an annual yield of $38. Investors who lock their money in a 10 year Treasury bond will receive $24. The reason for the low yields is low expected inflation for the near future, and the fear of a double dip recession which could even lead to deflation. The risk behind investing in treasuries today is that the low yields would not compensate investors even for a small inflation of 3% per year until maturity. In other words, the purchasing power of the interest income from an investment in fixed income will be much lower five, ten or thirty years from now. So how can investors manage to generate income from their nest eggs, which they have worked so hard and for so long to accumulate? 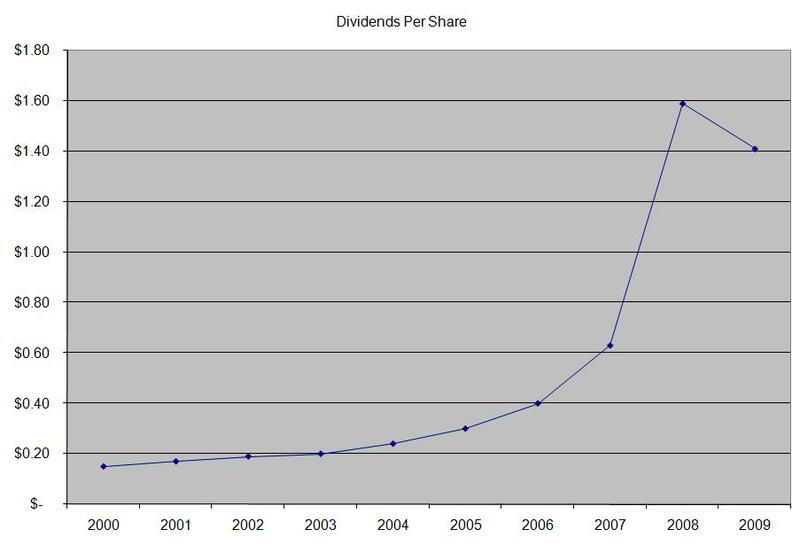 1) A history of consistent dividend increases. 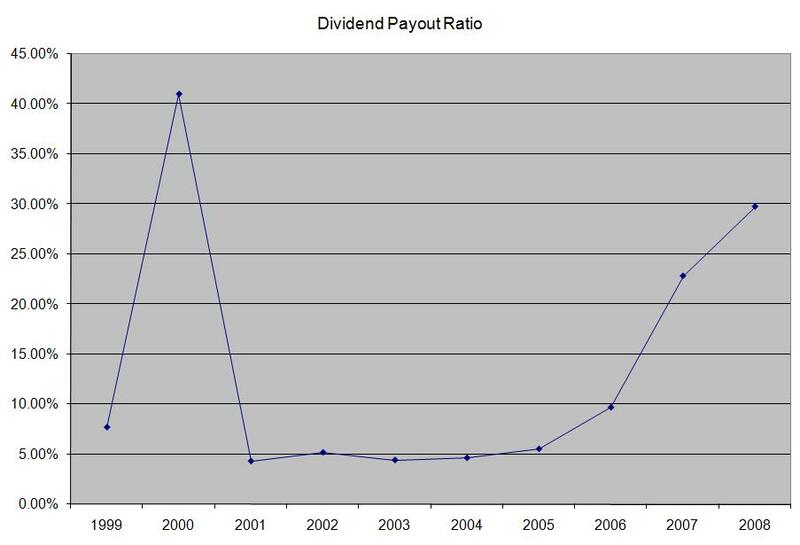 I prefer companies which have raised dividends for at least ten consecutive years. 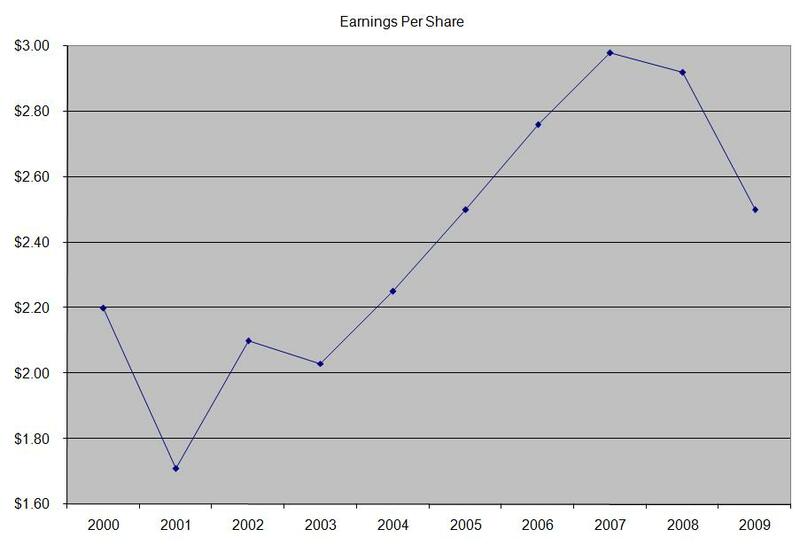 3) A low price earnings ratio and at least some earnings growth. Overpaying for stocks could turn costly, and lead to low returns over time. I prefer stocks which have a P/E of less than 20. 4) A current yield of at least 2.50%. While some investors see this yield as “low”, they tend to forget that with regular dividend increases, the yield on cost would increase over time. By stacking companies with varying yield and dividend growth characteristics it is possible to create a portfolio yielding 4% where dividend increases match or exceed the rate of inflation. There are only 300 or so stocks trading on US exchanges that have a history of growing their distributions for at least ten years. By applying a simple screen where P/E ratio is less than 20, the current yield is 2.50% or more and where the dividend is sustainable, investors could end up with a manageable list of stocks for further research. It is important to also hold a diversified portfolio of dividend stocks, in order to avoid concentration to particular segments, which could jeopardize dividend income in retirement. As a result holding at least 30 individual stocks representative of the ten industry groups of the S&P 500 makes sense. Last but not least, while investing in dividend stocks would likely lead to a higher income stream in ten or thirty years, which would be much better than the fixed income from US Treasuries, dividend investing still has its risks. One of the biggest risks for dividend investors is that companies could cut or eliminate dividend payments. A diversified portfolio of stocks would soften the blow to total dividend income of course. 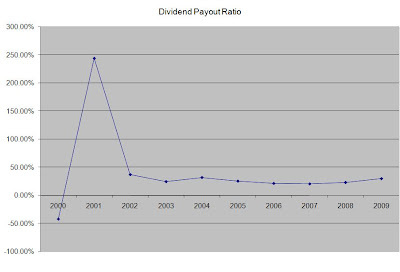 However there have been times like during the Great Depression, when most companies cut dividends substantially. During those times investments in government bonds produced not only decent income, but also decent total returns as well. In addition to that, investors in Japan in the 1990’s were also faced with low yields on the long term government bonds. However this was a much wiser investment than buying Japanese stocks as represented by the Nikkei 225 index. While dividend stocks would likely do much better than US Treasuries, investors should understand risks of dividend paying stocks before investing. This could provide them with the edge against investors who chase unsustainable yields and overpay for income streams. Genuine Parts Company (GPC) distributes automotive replacement parts, industrial replacement parts, office products, and electrical/electronic materials in the United States, Puerto Rico, Canada, and Mexico. The company operates in four segments: Automotive Parts Group, Industrial Parts Group, Office Products Group, and Electrical/Electronic Materials Group. 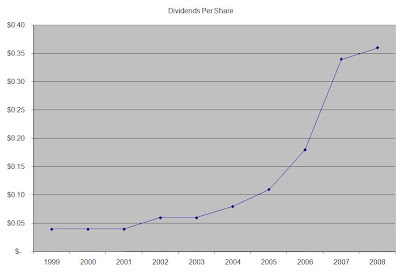 This dividend king has increased distributions for 54 consecutive years. 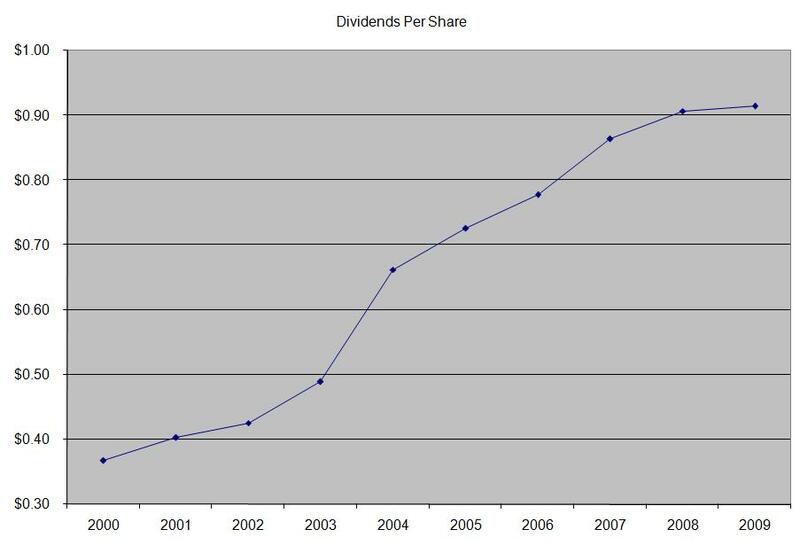 Over the past decade, this dividend stock has delivered an annual total return of 11.40%. 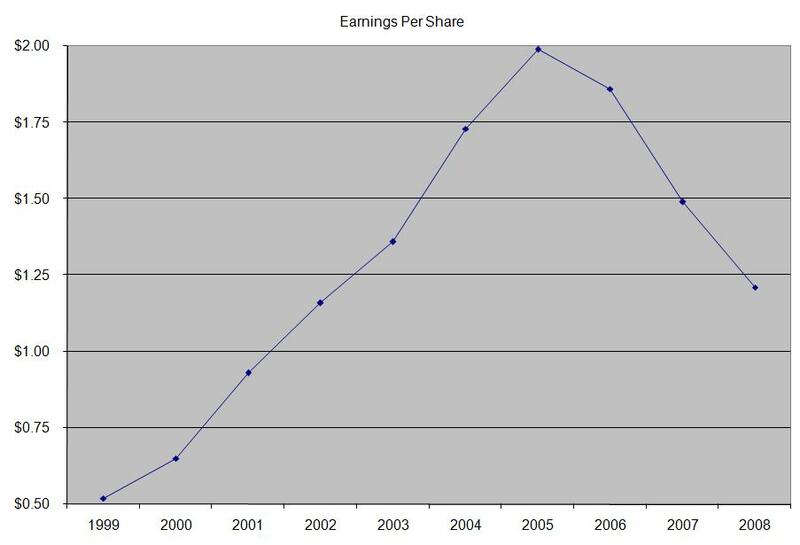 At the same time earnings per share have increased only by 1.40% per year since 2000. For 2010 analysts expect an increase in EPS by 12.80% to $2.82. For FY 2011 analysts expect the company to earn $3.15/share, which would represent an increase of 11.70% in comparison with the results in FY 2010. The growth in EPS was helped by stock buybacks, where the company repurchased about 1% of their outstanding stock each year over the past decade. The company’s near term prospects should be aided by sales growth, triggered by the expansion in the US economy. Margins should also be higher on cost cutting and higher volumes. Longer term the company could benefit from increased complexity of vehicles and the rising number of automobiles. The company seems to be very conservative in its finances and has a low level of debt coupled with strong cash flow from operations to fund future dividend increases. Dividends per share increased by 4.20% on average since the year 2000. 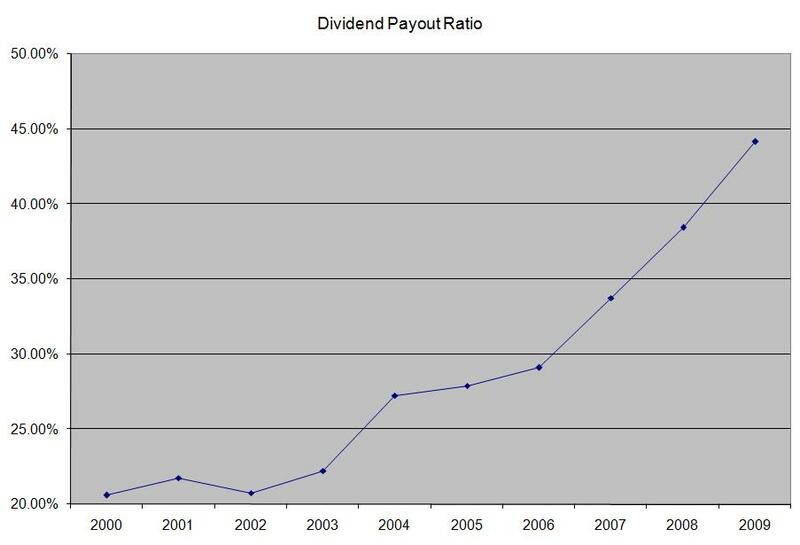 A 4% growth in dividends translates into dividend payments doubling every 18 years. Since 1987 the company has manage to double its quarterly dividend every eleven and a half years on average. The dividend payout ratio has remained above 50% in six of the past ten years. A lower payout is always a plus, since it leaves room for consistent dividend growth minimizing the impact of short-term fluctuations in earnings. 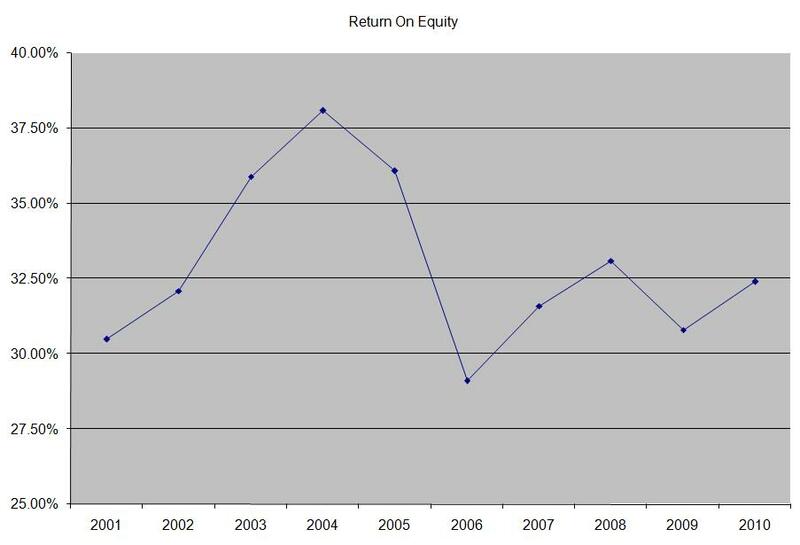 The return on equity has remained above 16% with the exception of 2001. Rather than focus on absolute values for this indicator, I generally want to see at least a stable return on equity over time. Currently the company trades at a P/E of 16, yields 3.80% and has a dividend payout ratio of 60%. 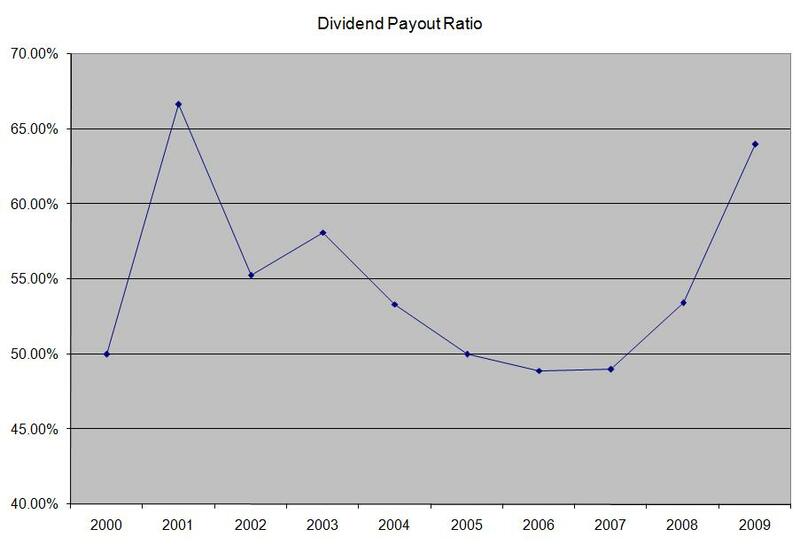 Given the low growth in dividends and earnings over the past decade, I would have to require a higher current yield and a lower dividend payout ratio before initiating a position in the stock. I would initiate a small position in the stock provided that it trades below $41, and the payout ratio is lower than 60%. One of the most common issues that dividend investors face is the holding period for their dividend stocks. It seems that dividend investors are divided in two camps on the issue. One of the camps believes in active allocation of capital, where positions are continually adjusted depending on company performance, market performance or relative portfolio weights, to name a few reasons. In an era where it is possible to buy and sell dividend stocks within nanoseconds, holding on for more than a few years seems like eternity to some. The other camp is focused on the long-term holding of dividend stocks. The second camp believes in buy and hold investing, an arcane strategy, which is termed obsolete during bear markets, but is widely praised during bull markets. 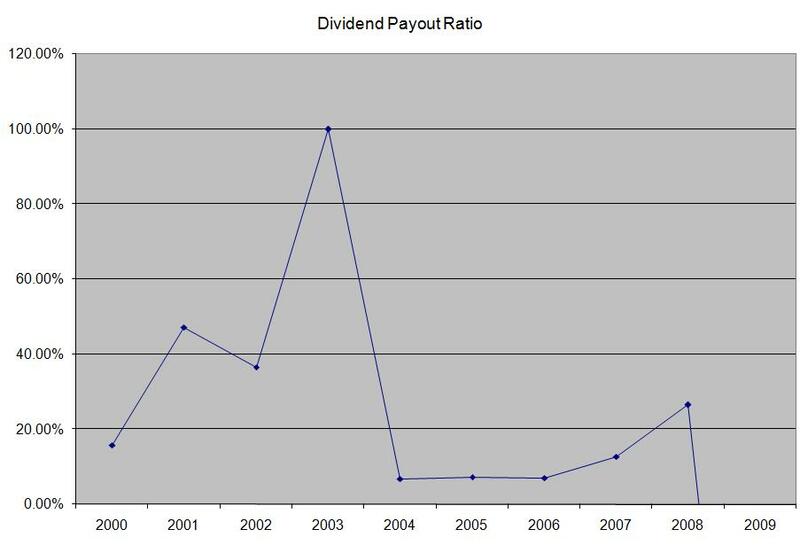 So what should the holding period of an enterprising dividend investor be? Smart dividend investors should be able to synthesize the best features of both camps on the subject of buy and hold, in order to determine their optimum holding period. Extreme views such as buy and hold forever or buy and sell for five nanoseconds/years should be avoided. Investors should therefore hold stocks for as long as it makes business sense for them to hold on. In most cases, it takes time for a position to work in your favor. This is particularly true for dividend growth stocks, where low current yields coupled with strong dividend growth result in substantial yields on cost after several years of patience. Investors who focus on stocks like Procter & Gamble (PG), McDonald’s (MCD) or Johnson & Johnson (JNJ) despite their current yields, could generate sufficient dividend income streams over time. Thus, as long as these companies continue to perform well, by enjoying earnings growth to fuel dividend increases, they should be held and added to on any temporary price weakness. While investors should expect to hold on to their shares theoretically forever, in reality they might have to sell positions if things change. If circumstances do change however, and any of these stocks deteriorates to the extent of cutting dividends, then it should be sold, even if held for less than a few years. When investors purchase dividend stocks, they should expect to hold on to them forever. As a result, investors should assess the viability of their dividend income stream sources, in order to ensure that they are not focusing on chasing hot ideas today, which might cost them in the future. Many investors chase high yield stocks for current income these days, particularly because in the current low interest environment it is extremely difficult to live off interest. The dangers to this strategy are two- fold. The first danger is that without an understanding of the business, investors might purchase an income producing asset which doesn’t deliver sustainable distributions. Canadian royalty trusts such as Pengrowth (PGH) and Penn West (PWE)are examples of this idea. Most Canroys always seem to deliver high current yields, despite cutting dividend payments to the bone. This is because their stock prices have gone down over the past few years, right after Canada announced that it would be phasing out the structure in 2006. Investors who were short-sighted to only chase high yields for current income without understanding why such high yields were being paid in the first place, should have been better off purchasing long term treasury bonds instead. The other issue with high yielding stocks such as MLPs, REITs or Utilities, is that when interest rates start rising again they could get out of favor with investors. When interest rates increase, investors would demand higher yields from the above mentioned types of stocks, which would push their prices down. In addition to that, since most of these types of companies grow exclusively by selling more shares ( units) or through additional debt offerings, their cost of capital would be increasing. This might even put current distributions at risk of a cut. This being said, higher yielding stocks could have a place in your portfolio in order to generate current income until your dividend growth stocks generate high yields on cost. To summarize, my holding period is forever, unless some unseen factor causes me to sell. After the sale I would typically try to allocate the cash to a new or existing position in the same sector, while keeping the income loss to a minimum. What is your holding period? 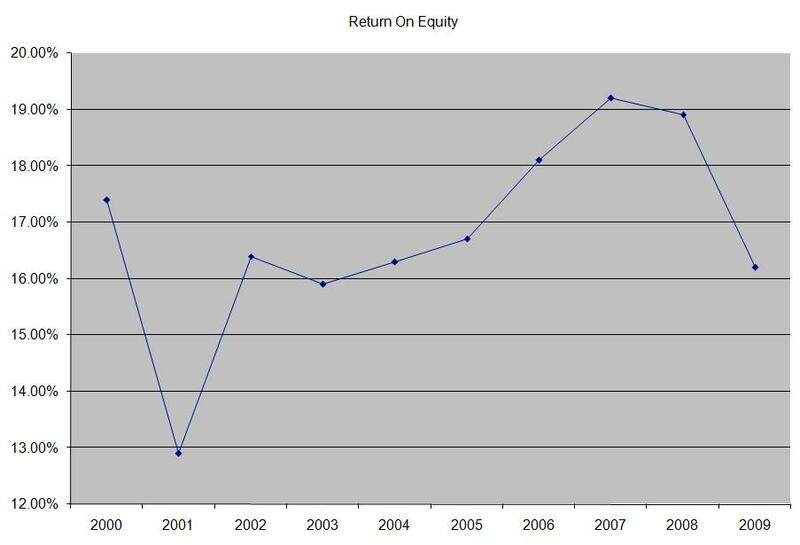 The third quarter of 2010 was characterized by a rebound in global equity markets, which lead to rising stock prices. Income hungry investors are starting to realize that certain safe-havens such as US Treasury bonds do not look as attractive as dividend stocks. 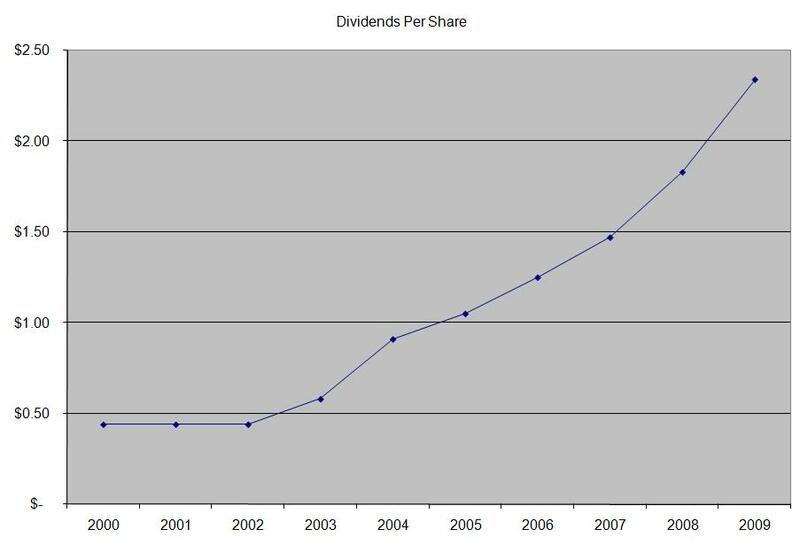 This has pushed many dividend stocks higher, particularly the ones with sustainable and growing distributions. Back at the end of 2009 I selected four dividend stocks as part of a competition. The stocks that I selected were representative of the tobacco, real estate, master limited partnerships and utilities sectors. The main characteristic of these sectors was that they consist of stocks with above average yields. The higher yield not only softened investor losses during the second quarter of 2010, but also produced very good performance over the third quarter. Some of the companies such as Realty Income and Con Edison look overstretched at the moment. The hunt for yield has pushed these companies to levels of relative yield not seen for a while. Furthermore, given the slow dividend growth that they have experienced, I do not find them worthy of adding new money to these positions. The price you pay today would affect your total returns in the future. As a result, investors putting in new money in stocks like Realty Income (O) and Con Edison (ED) might not generate the same level of total returns as investors who bought the stocks at the end of 2008 for example. This being said however, these stocks are still at least a hold, as their dividends appear to be safe. But if you are in a DRIP plan in one of those stocks, you might be better off allocating the dividends in something more attractively valued. While I own all of the stocks mentioned above, this stock picking competition is not representative of how investors should invest money. I believe that in order to be successful at dividend investing, one has to build a diversified portfolio of stocks, representative of as many sectors as possible. I would also add geographic diversification as a plus, as well as the need to build positions slowly over time, by dollar cost averaging.